This newcomer adds a touch of exotic color and tons of sophisticated flair to water gardens, borders and areas with moist soil. Black Joker is a stunning Siberian variety with soft lavender standards highlighted in yellow above deep purple, gold-edged falls. 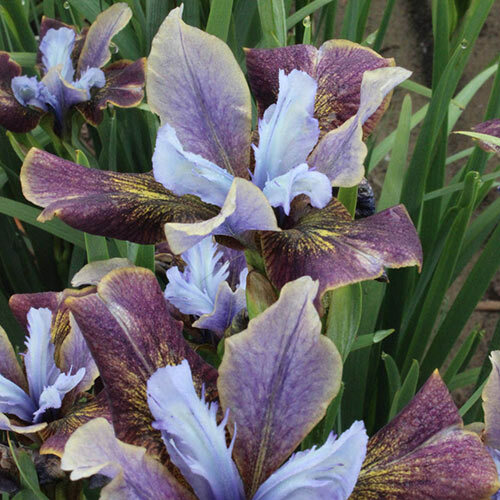 Though it features the typical iris form, this beauty is anything but ordinary. Place it in full to partly sunny sites with virtually any soil type, though it does prefer the moist areas that most perennials do not tolerate. You'll be rewarded with plenty of seductively dark, fragrant blooms in late spring to early summer. Black Joker is easy to grow and deer resistant. 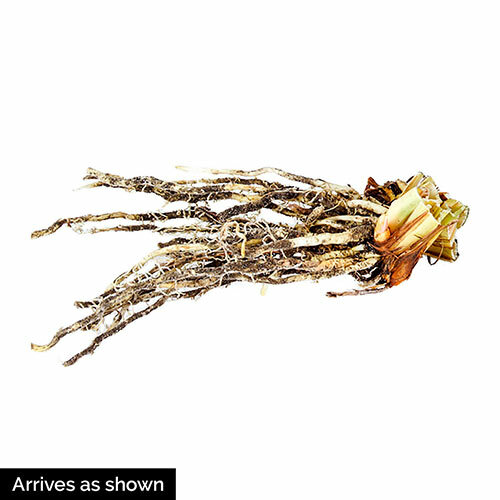 It perennializes quite well, returning with renewed vigor year after year. Foliage TypeSlightly arching, narrow grass-like leaves. Soil RequirementsPrefers moist soils, but will do also well in regular garden soil with average moisture. Planting InstructionsLoosen soil well before planting. Plant with the eyes just below the soil. Dig a hole large enough to accommodate the roots without bending them. Space plants 18-24" apart. Firm soil around roots and water well.